QuakeCon 2019 is doomed! In celebration of 25 years of id Software's flagship franchise, Bethesda has announced that QuakeCon will be packed to the brim with hellish events and activities that look back at the history of the Doom Slayer and what's to come with Doom Eternal. Registration for QuakeCon 2019 begins on April 11 at 10 AM ET. QuakeCon began in 1996 and is one of the biggest and best gaming events of the year with more than 12,000 fans from around the world were in attendance in 2018. QuakeCon: Year of Doom will still feature all the stuff that attendees have come to know and love about the convention including a massive BYOC, hands-on with new games, and exclusive panels. There will also be some esports tournaments, parties, and everyone's favorite Master Pancake Theater. 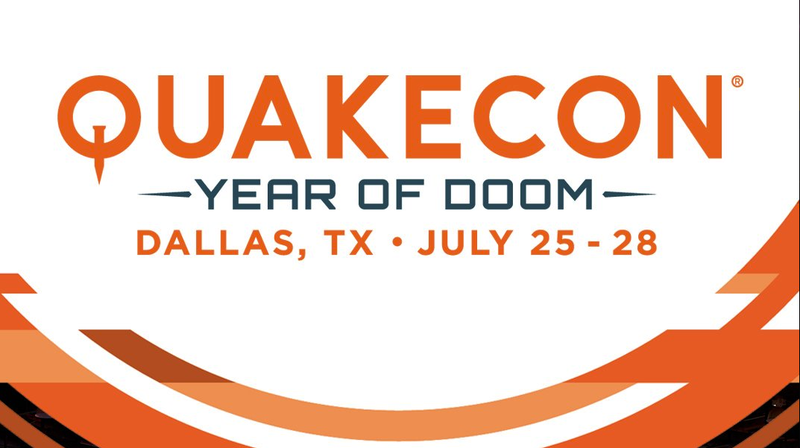 QuakeCon: Year of Doom is coming back to the Gaylord Texan in Grapevine, Texas in July. QuakeCon 2019 registration will open on April 11, 2019 at 10 AM ET. Head over to the newly updated QuakeCon website to join in on the fun. The registration process will work a bit differently this year. BYOC attendees will not pick their seats at the time they register. Seat selection will occur at a later date which Bethesda promises will be announced soon. The QuakeCon BYOC is a site to behold with many clans hanging their banners and tons of impromptu game tournaments popping up throughout the show. QuakeCon 2019 will take place July 25-28 at the Gaylord Texan Resort in Grapevine, Texas. The show is free to general attendees and open to the public. Shacknews held The Great Quakeholio Tournament last year at QuakeCon 2018, and we have some plans to continue bring another unique Shacknews Electronic Sports competition back to Texas this summer. Yes, there will be catering from El Fenix Mexican Restaurant again. Be sure to follow the official QuakeCon Twitter page and keep it locked on Shacknews for all of the QuakeCon 2019 news as it breaks. It should be a great year! The Great Quakeholio Tournament will return!! !